We all love cryptocurrencies, the trading, the exchanges, the mining, we love it all. So when something big hits the market it is obvious a lot of people jump on the wagon, especially if it’s an opportunity to make some easy money. In this Crypto Tab Review we will go over all the features, legitimacy and payouts! Ready to mine some Bitcoin? If you’re into cryptocurrencies you’ve probably seen the name CryptoTab somewhere by now. 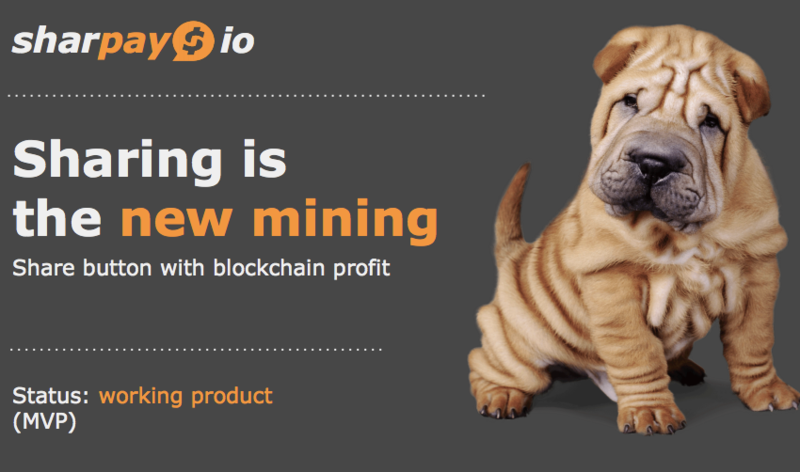 It’s a genius Google Chrome Extension that let’s you mine Monero (XMR), which is then converted for you into Bitcoin (BTC). The extension is easily downloaded from the Google Web Store and takes less than 10 seconds to be setup. With over nine thousand positive reviews this extension seems to be killing it. It’s because of the smart structure. If you refer more friends your mining speed goes up. So the more friends actually use CryptoTab the more you are able to mine. Pretty genius right? In the corner left you can set your mining speed from ” OFF ” to ” MAX” to the right you will see the actual H/s rate. In the center you will the total amount of BTC mined. As stated earlier the script actually mines Monero (XMR) but converts it to BTC for you as that’s an easier cryptocurrency for everyone to use. 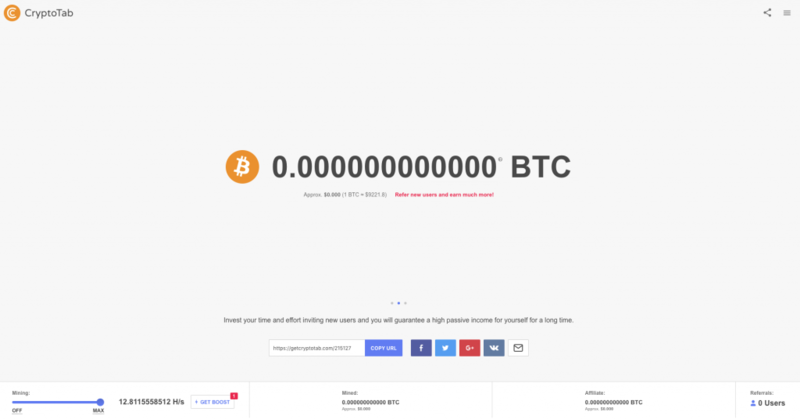 Below you will find the current USD value of your BTC. The BTC rate will obviously fluctuate and therefore there’s an = equation which get’s updated once a day as of now. One of the most important features is the referral link, that’s how you are able to invite your friends. The more friend you invite the more mining power you have. Referrals are listed under the “affiliate” payouts bottom right. You can just click the button “copy url” and then post it on Facebook, Pinterest, Twitter, Tumblr or whatever social media you would like to spread it on. The opportunity is limitless, you can really make a decent buck if you get ahead of the crowd. There’s probably tens of thousands of users right now, so get on it before there are tens of millions. Like everyone we were a little bit skeptical at first. As with any crypto currency related mining potential etc. an scheme is not far around the corner. 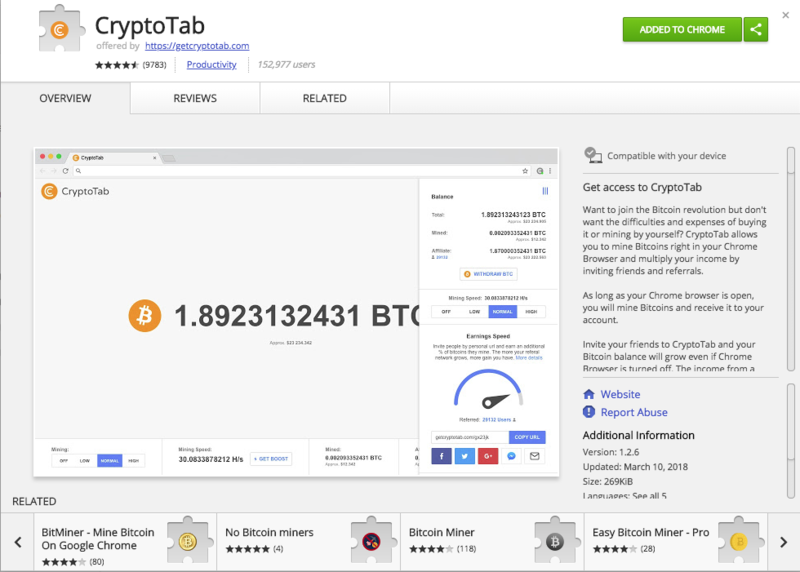 With CryptoTab there weren’t really any problems because it’s allowed by Google Web Store, so it’s a good extension. Then there’s already thousands of users with all positive reviews. The only thing is the payout. The most important factor really. After waiting a couple of days we can confirm that it’s actually possible to get paid! WOOHOO. If you’re total BTC value is higher than the transport fee you’re eligible, it takes about two hours to appear in your wallet. 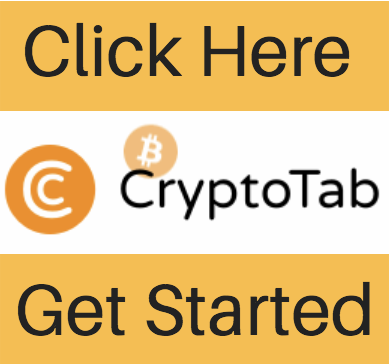 If you like cryptocurrencies and wouldn’t mind earn a couple of more dollars while you’re on your PC anyway CryptoTab might be the right thing for you. Who doesn’t love free Bitcoin right?! There are 1 bln websites in the world and the number is growing by 5-7% each year. 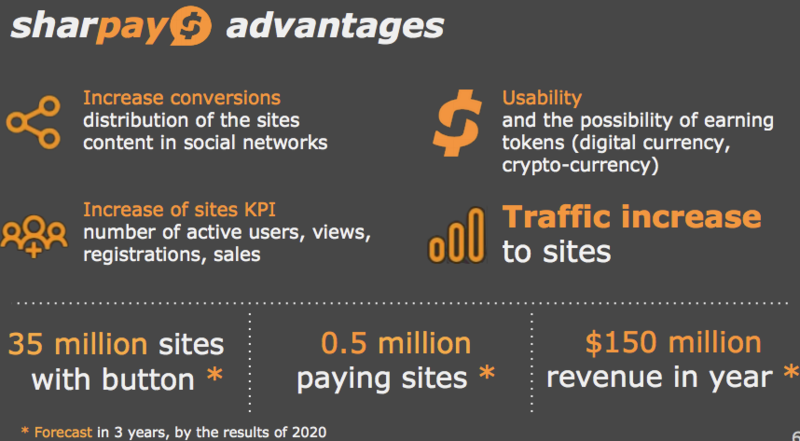 However, only 3% of them utilize share buttons– only 30 mln sites. With over 3 bln people utilizing social media networks, which 10% are active users, the social media network advertising costs is anticipated to grow up to $50 billion in 2019. The most popular users in socials media, for example, leading Instagram influencers, have actually been generating income using their appeal through social media network marketing. Sharpay will help all the social active users to monetize their appeal by earning crypto currency. Sharpay is a special technological and really easy share button. Websites put the button under any content rather of other old sharing buttons users get benefits for sharing. The system has fraud defense, bot defense with audience targeting possibility based on CPV (cost per go to)payments. The development of Sharpay— blockchain revenue for sharing with tokens and multisharing– sharing in a number of networks with one click. This is an unique task, that has simultaneously the 2 possibilities. The innovation is safeguarded by the Eurasian worldwide patent concern Sharpay– is a new SMM instrument for increasing traffic, conversions, sessions and sales with less invests. Spreading out the Sharpay innovation will increase the agregated sharing from 3% to 10% on the planet. 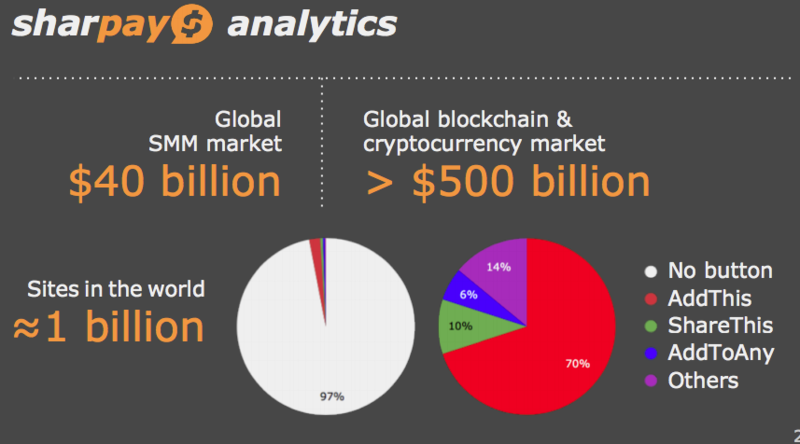 Sharpay prepares to obtain 50% of that growth that is equal to 35% of global market in general. Sharpay will quarterly book 90% of the earnings to ensure the redemption of tokens from their holders (investors and users). The program starts according to the results of the 3rd quarter of 2018. 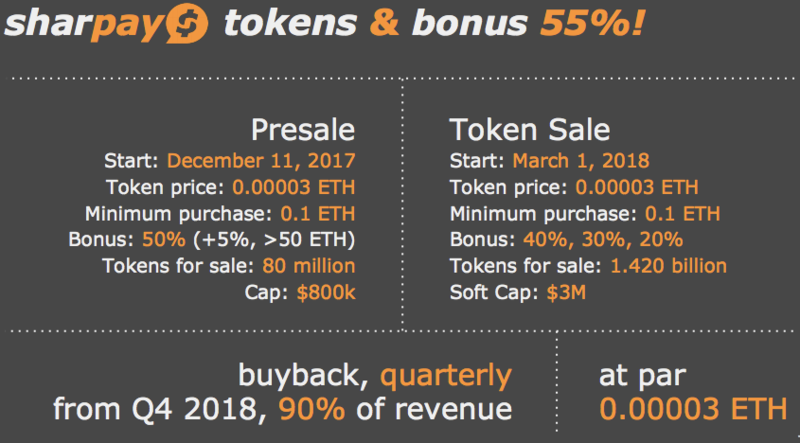 The cost of the buyback is based on the small price of a token at 0.00003. ETH which is around equivalent to $0.01 at the time of the authorities launch of the project in November, 2017. Sharpay’s tokens are at first released on Ethereum inning accordance with the ERC20 standard, are the blockchain is utilised as a financial windows registry. At the. 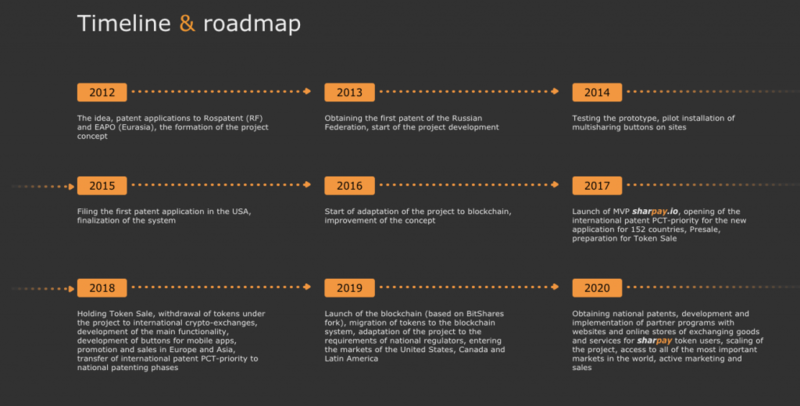 next phase of advancement of Sharpay, we are going to develop and launch an independent decentralized blockchain system (BitShares fork.4. with a POS-basis), followed by the migration of tokens – the blockchain will be utilized for releasing, dispersing tokens in between sites and users for social activity, and keeping the information. Starting from the second stage, the revenue from the blockchain will acquire not only more users, but also more websites to install Sharpay button. Ken Huang | Well-known Blockchain Expert Former Chief Blockchain Scientist & VP at Huawei Technologies. Worked for CGI Federal office in USA as Director of Cyber Security, and Director of Cloud Security. He established CGI Federal Identity Management Practice, and Cyber Security Competence Center. While working for CGI as Executive Consultant, Ken consulted the United States Federal Government, financial institutions, and utility companies and provided expertise in Finance, Blockchain, and Cyber Security. Vincent Mascart | Blockchain Enthusiast, Developer & Blogger Entrepreneur, Developer, founder of several companies, has provided consultancy to several international companies and is now totally focused on blockchain technologies. Blockchain enthusiast, оne of the TOP bloggers in the Steemit and Golos Blockchains. Witness for multiple DPOS projects (Steemit, Golos etc. ), has succesfully created and deployed several blockchain based applications. Speaks French, English, Dutch, Italian, Chinese and is learning Russian. Anton Solodikov | CEO IT entrepreneur, blockchain activist, inventor, author of patent and international patent applications for content promotion, previously, the CEO at Balalike LLP UK (development of content monetization systems) and CMO at GOLOS.io (blockchain and social network, tokens x40). Alexey Stukarchuk | CTO Blockchain enthusiast, experienced developer of ERP and CRM systems for international companies (including Skoda, Bosch, Ulmart), mobile application developer (iOS, Android), development team leader. Igor Karavaev | CBDO Ex-executive Director of the Skolkovo Foundation, a leading Russian business incubator of startups, as well as a Chief Strategy and Business Officer of a number of major Russian corporations. Arkady Yasashny | CFO Ex-top manager of the largest Russian banks (VTB, MDM, Union), an entrepreneur and investor in high-tech start-ups. Similar to Bitcoin, finix Coin is a decentralized peer to peer digital coin that is not regulated by any type of main organizations or federal governments. It is an open-source platform created to supply numerous investment chances. 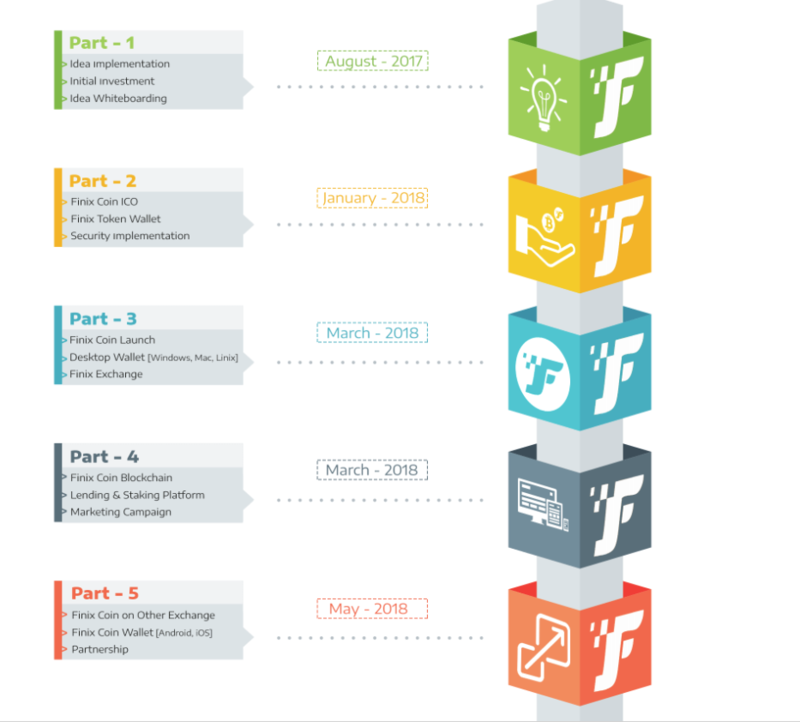 finix coin is designed to be a digital money that can be utilized to store worth and also to trade with any individual on the planet with exceptionally low fees and rapid lightning rate transactions. Easy to use Layout as well as with ideal UI/UX methods. Single click to buy/sell/send deals with Bitcoin, Ethereum, and also Finixcoin. Deals happen directly in between individuals to people or people to companies and it’s a blockchain-based kind of personal, time-based cash, financial institutions are made redundant. 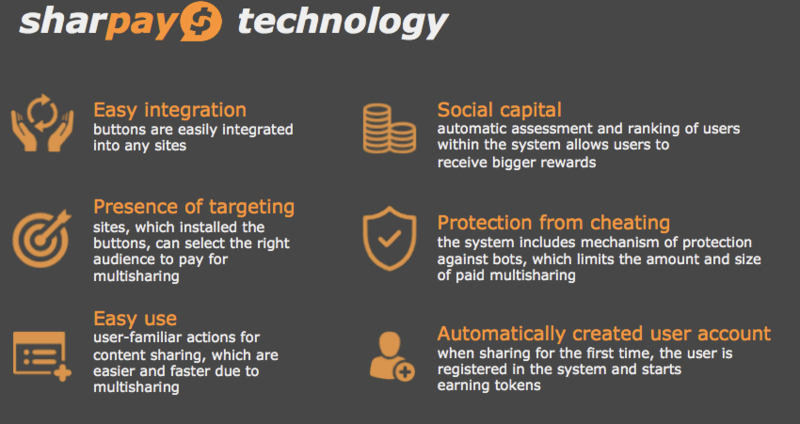 Finix uses the safety and security techniques and techniques utilized by cryptocurrency systems around the world, end-users will certainly be able to count on in Finix coin. 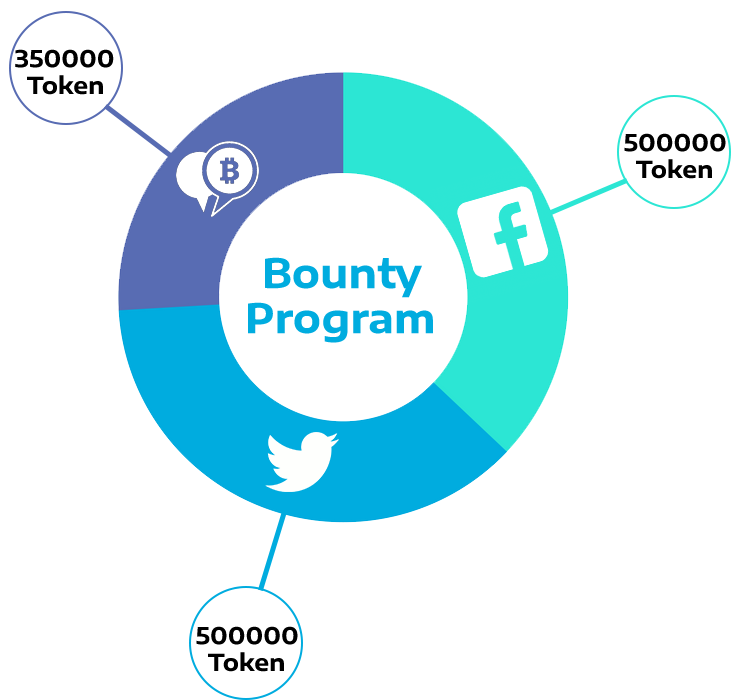 Finix is now beginning a bounty campaign, so individuals can assist us inform concerning Finix coin to the community, as well as get totally free Tokens as a bounty incentive. 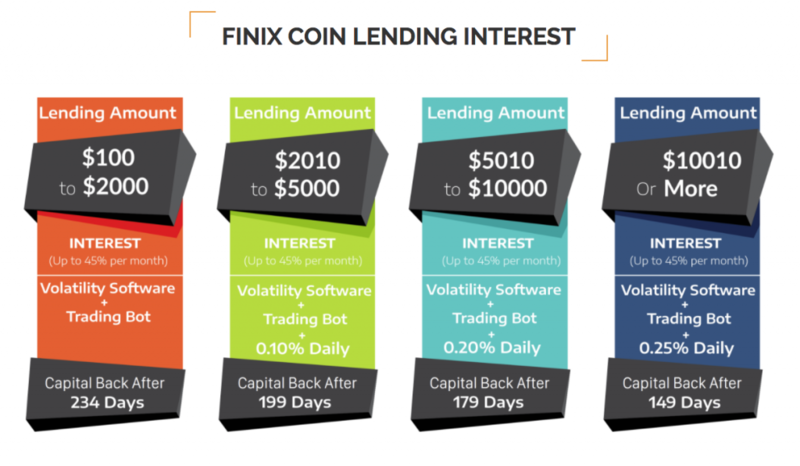 In the finix coin ICO there will be 16M FNX Token issued in overall. As a bounty benefit, Finix will disperse 1.35 FNX Symbol. To earn as well as receive FNX Tokens, at initial you should create an email-based Finix coin account. It is essential for you to have access to that e-mail and also your Finix coin account password, as Finix will send out bounty incentives directly to your Finix coin account. As a result of many frauds in Cryptocurrencies Crowdfunding, Finix believed to guarantee that Finix users obtain following level protection and also their symbols are secure. Finix takes steps to ensure that every purchase on the Finix token system will be available on Blockchain so that you could see your investment risk-free as well as protected. The present Finix token platform will immediately designate the funds to various Multi-Sign system storage wallets which will certainly auto separate as soon as the funding is satisfied. Symbols on this system can not be taken or utilized for any incorrect objective. Customer tokens are securely maintained in chilly budgets but obtainable only by individuals personal secrets on demand. There have been many online gaming platforms that came to be in the past fifteen years or so, Steam amongst the most popular ones, at least on the PC. Yet, even with Steam being very popular, secure and having a ton of players who play offline and online, its achievement system is somewhat lacking, in the sense that it doesn’t awards its players with the opportunity to earn real money. The name of the platform is derived from two words, IQ, which means intelligence quotient and eon, a word with Greek origins, meaning a very long period of time, or by Plato’s denotation, an eternal world of ideas, one usually pushing or behind the perceived world. Combined together, they represent the human intelligence which is used to drive forward the progress of humankind. This platform aims to accelerate the launch of new products, mostly games, that allow players to enter a competitive environment which praises intelligence and tasks which lean towards the logical aspect of competition, the winners and those with the best results receiving IQeon tokens, the internal currency which can afterwards be exchanged for real currency. Both developers and gamers have incentive to join this platform, the developers since their products will get more coverage and since they will get better rates when withdrawing from the Google PlayStore and Apple Store. The developers also get access to an already established infrastructure with payments based on the cryptocurrency market. Developers get access to an API which allows for easy integration into existing ecosystems and a SDK for faster preparation and presentation of applications on the IQeon platform. Players have an option to win coins whether on winning games, getting the best result or just completing tasks. The advantage of winning IQN tokens is that they can be exchanged into any other cryptocurrency, for example, bitcoin, Ethereum or Litecoin. 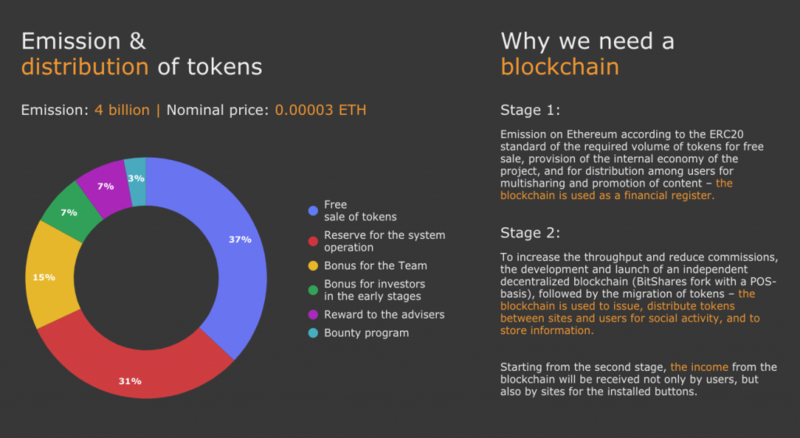 This being a blockchain system, on an already well-established platform, namely Ethereum, using the ERC20 standard, the tokens are safe and sound. They cannot be refunded or forged due to the way how blockchains and decentralized systems work. This system allows the players to remain anonymous. 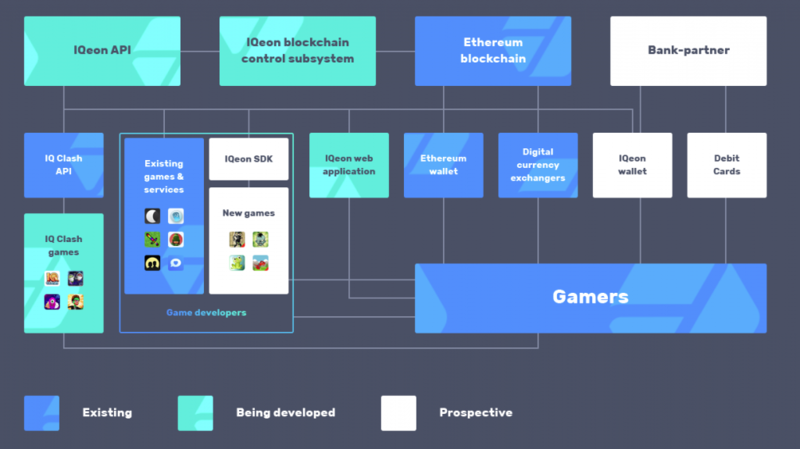 The currency could be used in any game on the IQeon platform, making it accessible and practical. The currency, IQN, can later be exchanged for fiat money, in other words, real money. Investors get the benefit of obtaining IQN tokens during the crowdsale period, when they are at their lowest price. As the platform develops and more third-party developers add their own games and content, the demand for the tokens will increase. Given how there is a limited number of tokens to be had, their value will increase. As a pioneer in the field of allowing gamers to get paid in cryptocurrencies on an online platform, investors are to gain more income from an influx of both players and developers. Since the number of tokens is limited, after the crowdsale periods, any unsold tokens will be burnt (thus increasing the value of the already sold tokens, many of which go to the investors themselves). The team behind this project consists of fifteen people, a CEO, COO, CSO, CTO, financial consultant, USA and Canada representative, CLO, blockchain developer, mobile developer, CMO, software development engineer, smart contract developer, project manager, digital marketing strategist and community coordinator. Each of these people have been in their respective business area for at least 5 years, many of them being even longer than 10 years. The team also has five advisors, in areas related to blockchain technology, mining and finance, whether online systems or actual bank systems. For any upcoming investor, the tokens are the most important thing, given how they will be the currency they will exchange later on, most likely at a bigger price, due to increased demand as the platform progresses. Depending on the period of pre crowdsale or crowdsale purchase, the token number an investor receives per 1 Ethereum coin will vary. The pre crowdsale period, divided into two rounds, 1 and 2, has different values per Ethereum coin. The first round which lasted from December 15th 2017 to December 24th 2017 gave investors 700 IQN tokens per Ethereum coin. A total of 500,000 IQN tokens were sold at the time. The second round of the presale period, from January 8th 2018 to Jaunary 15th 2018 gave investors 550IQN tokens per Ethereum coin. A total of 800,000 IQN tokens were sold during that period. The crowdsale period lasts from January 30th 2018 to March 13th 2018. A total of 5,700,000 IQN tokens are to be sold during this period, 1 Ethereum coin getting investors 325 IQN tokens. There is a soft cap of 2000 ETH coins and a hard cap of 19000 ETH coins which is around 18.217.409 US dollars. The crowdsale period has a bonus scheme which decreases at a given schedule, the first day netting people a 30% token bonus, the first week 25%, weeks 2-3 20%, weeks 4-7 15%, weeks 8-14 10% and weeks 15-30 5%. The majority of the earnings from the crowdsale will be directed to the platform itself, the development and enhancement, 60% of the earnings. 25% will be directed towards the marketing, a rather large yet expected sum, considering that a novel platform needs to attract both developers and players alike to function properly and be able to maintain both itself and have income to pay both players and developers. 8% of the funds will be going towards the operating expenses. 4% will be going towards the legal expenses and the remaining 3% towards anything else that might come up or require funds. It is worth noting that the tokens purchased during the crowdsale period and presale period are not refundable. Having purchased tokens does not make you an owner of any shares in the company or provides you with any right to make decisions regarding the ecosystem and the platform itself. It is neither an investment nor a secure way of obtaining more money. The tokens, can, however be exchanged within the IQeon ecosystem and once the platform launches, you will be able to exchange them for other cryptocurrencies, as it will become available on the market. The IQN token total number which will be deployed is 10,000,000, 5% going in the 1st presale round, 8% in the 2nd presale round, 57% in the crowdsale, 12% to the project team, 10% as a bonus fund, 6% to partners and advisors and 2% for bounties. Tokens that are meant for the advisors and partners will be blocked in the system for 2 months, while those reserved for the partners, 6 months. These tokens have many functions, and are intended to be used within the IQeon platform. Their primary use case scenario is a two-way exchange system. They are to be used for making bets, remuneration in game rooms or after a player gets player of the day award or player of the month award, as a means of resolving disputes. It is meant as a way of payment, namely paying the developers, the digital copyright owners, partner programs and to form a prize fund in future IQeon tournaments. The platform will have its own web application which will allow developers and users to have their own accounts, link them to other applications, make purchases, transfers and exchange IQN tokens into other cryptocurrencies or fiat money. A mobile application, named IQeon wallet, will be launched after the main platform, allowing Android and iOS users to exchange IQN tokens for fiat money on a debit card, or vice-versa. The IQN tokens are directly based on the ERC20 standard, meaning that they will be compatible with an Ethereum wallet, from the get go, allowing easy transfer to token holders. This standard will allow users to trade the tokens easily, since it will be based on an already well-established standard which had been used to make many tokens and is a large part of the current cryptocurrency market. Tournaments which will be possible on the platform, will have a system backing it up, namely the platform’s API. Once all the conditions for the start of a tournament are met, player IDs are confirmed, IQN payment and tournament rules established, the API will make a smart contract and take notes of results and tournament progress. 8 people entering a tournament for a fee of 100 IQN tokens will have different prize pools. The winner would take 60% of the total prize pool, the semi finalists 20%, as well as the quarterfinalists. 5% of the total sum of commissions will go towards the platform itself. This is just an example of what a tournament might look like, the number of players and the fee being subject to change. The platform had its origins in Q3 of 2016, when the concept and business plan of IQeon were developed. The rest of 2016 saw a legal model being developed, as well as 50000 US dollars for an initial investment to develop the gameplay mechanics and a pilot application named IQ clash. 2017 saw a 300,000 US dollar investment, the IQ Clash company registration, team building of both the main team and the advisors. Later on, a mock up of the platform model was developed, the IQ Clash API was developed, the platform development was started. The ecosystem was also moved forward, with more than 30 partners. The last months of 2017 were used to prepare for the ICO, make a smart agreement for IQN token distribution and expand the already large system of partner, to more than 100 partners. Q1 of 2018 is reserved for the development of the IQeon API and finishing touches of the ICO. The web application development is scheduled for this period, as well as testing the link between the IQeon API and the IQ Clash API. The marketing campaign is also to start during this period, as well as listing the IQN tokens on the cryptocurrency market. Q2 of 2018 will see the platform integrated with the Ethereum blockchain, likewise, development of the IQeon blockchain control subsystem. Q2 will also see the platform beta launch, which means integrating the platform API with partner applications. The IQeon wallet and tournament support are to be started on. Q3 will see the release of the IQeon wallet and the tournament mode. The marketing campaign will be continued during this period as well as those prior to it, to attract end-users. Q4 has a goal of developing more IQ Clash applications, reaching 2,5 million active users and developing the IQeon SDK. 2019 and onwards have a goal of having a ready SDK, integrating AI technology into the IQeon API and SDK, as well as into the game mechanics. It will also see integration with the Xbox and PS systems and introduction of augmented reality and virtual reality technology into the game mechanics, as well as reaching a milestone of 15,000,000 active players and having more than 10,000 partners and 1,500 IQ Clash applications. Q: Why are you sure that players will come to your platform? The answer is that the players will most likely be using the platform to earn pocket money and that the platform itself is targeted at peopled age 12 to 25. 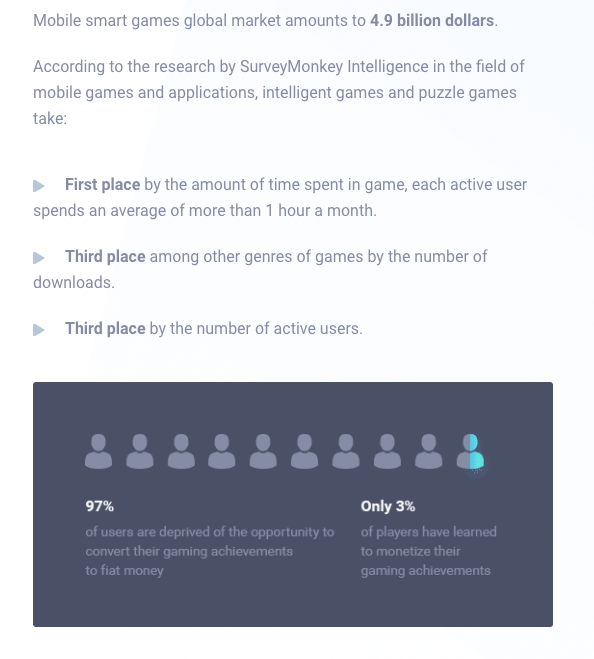 Their own study got a result that no less than 14% of the player base will be interested in just earning money from the system. Q: Why should the crowdsale investors trust the company? Basically, the smart contract for the token distribution dictates that the tokens must be released and the entire crowdsale is regulated by that open smart contract. Q: Why will the token grow in price? Since the token number will be limited, no more tokens are to be released after the crowdsale and platform launch are commenced. Since the player base will increase, the demand for the tokens will increase, which will be helped by introducing new applications and games. Q: How many games are in the IQeon system? Prior to the launch of the presale ICO, developers of 50 applications (and counting), showed interest in connecting to the IQeon platform. There are more questions, some less notable, others necessary, such as whether there is a real office, or whether the company itself is a registered company (the answer to both is yes, and both the office and the company are registered in Estonia). 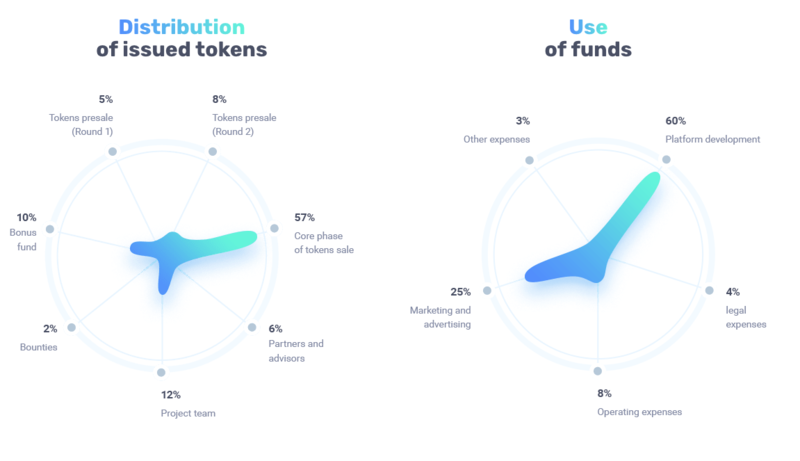 IQeon has a very notable goal of providing both users and developers with a way to earn money in a decentralized network. The players have to gain actual money and their anonymity is protected by the decentralized network itself. The developers have to gain application publicity and money, like the players, due to the IQN token being introduced to the cryptocurrency market. Based on the ERC20 standard, this token will be easily tradable with any other cryptocurrency, as well as fiat money, once the platform and IQeon wallet application are launched. Primarily targeted for the mobile, Android and iOS market, the platform is intended to expand to the PC and console market afterwards.